Private schools for children with learning disabilities such as dyslexia can provide a 'specific, well-defined mission' to help ensure that students 'gain the skills and self-confidence needed for academic success,' says Evelyn Reiss, president of the Canadian Dyslexia Society and principal of the Claremont School in Toronto. Meet Maeve Merrit. At just 14, she has navigated through multiple school choices in her hometown of Halifax during the past several years to find the right mix of support and strategies needed to excel despite an early diagnosis of dyslexia. Maeve explains how she and her family worked to find school settings that would provide the tools to meet her educational goals, given her unique needs. Maeve started out in a French immersion class at her local public school. As the daughter of a French-speaking mother, her parents wanted to ensure that she had access to French-language schooling. An assessment for learning disabilities soon followed, which was "terrifying" for Maeve: "I had to talk to a stranger, and confess that I couldn't read or write, or even really make out individual letters on the page." When the results of the testing came in, Maeve was diagnosed with dyslexia, a language-based learning disability that results in difficulties with specific language skills, particularly reading. 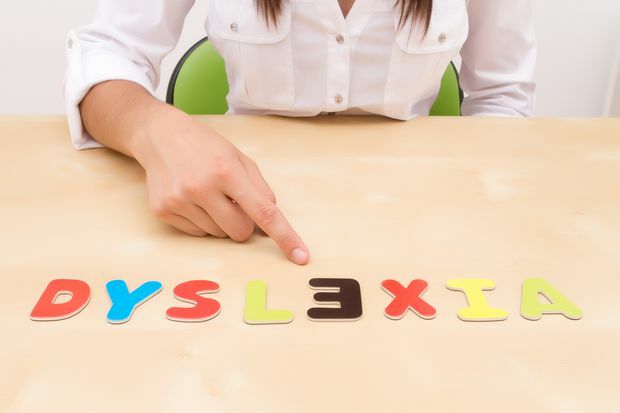 Students with dyslexia often experience challenges with other language skills such as spelling, writing and pronouncing words. In response to her dyslexia needs, Maeve's first schooling switch was from French immersion classes to an English-language classroom within the same school. "It was a relief to be able to function in English in the classroom," she says. She worked diligently to keep up with her classmates, and by the start of Grade 6 had made her second schooling switch to a local independent school, where she had a strong friend base and classes were smaller. Although she enjoyed her time at this new school, by the end of Grade 8 she was angling for another setting. “They weren’t teaching me at the pace my brain was going, and I was ready for something different,” Maeve says. Although Armbrae didn't offer classes specific to students with language-based learning disabilities such as dyslexia, Maeve says other features of the school "really helped" her learn to effectively manage her dyslexia. "I had so much one-on-one help," she says. It turns out that for Maeve, smaller, quieter classes enhanced her ability to manage distractions; a key element in successfully addressing her learning disability. For a student with learning difficulties, private schools can provide a broader menu of educational methods – not just in dress code, but in approaches to delivering education that may meet a child’s specific needs. Even a short stint in the right setting can propel a child’s achievements in unexpected ways. Evelyn Reiss, president of the Canadian Dyslexia Society and principal of the Claremont School in Toronto, a private school for students with dyslexia, echoes Maeve’s story with her own experience in working with dyslexic students. “One of the most profound changes that an effective remedial program can achieve is breaking the cycle of despair and avoidance that a child struggling at school may experience,” she says. For Maeve, a stint of private schooling was a missing ingredient that had her emerge ready to take on the next challenge.